But no, really, it’s everyone. The big banks are collecting so much from our overdraft and ATM fees that it equates to at least $25 collected from every adult American, according to an analysis by CNNMoney. In fact, the three big banks — JPMorgan Chase & Co., Bank of America and Wells Fargo — bogarted $300 million more in these fees last year than they did in 2015. The total? $6.4 billion. Tired of giving the big banks any more of your hard-earned dollars? Stick with us for some tough-love tips. Yes, You Are a Victim. We All Are. Not sure if these fees affect you? Check your bank’s fee for tapping another bank’s ATM. Between your bank and the ATM’s “non-customer withdrawal fee,” we’re all paying about $4.50 for the privilege of grabbing cash on the way to dinner with friends who like to split the bill down to the dime. What about overdraft fees? Last year, JPMorgan made almost $2 billion (billion!) from overdraft fees alone, with Bank of America and Wells Fargo close on its heels. Banks have only been required to spell out their overdraft fee revenue since 2015. A typical bank overdraft fee to cover insufficient funds is about $35, which can multiply each day the checking account stays below zero. Younger people — perhaps because we expect up-to-the-minute bank balance information that’s not always available — are 133% more likely to pay an overdraft fee than a 65-year-old, according to Lisa Servon’s book The Unbanking of America. Servon also notes that about 11% of consumers ages 18 to 25 incur more than 10 overdraft fees per year. This isn’t a few dollars here and there we’re concerned about. It easily adds up to hundreds. Start planning regular trips to an in-network ATM or branch. If you have a little bit of cash all the time, you can probably avoid most of your “oh, crap” ATM runs. Verify your bank’s fee for cheating on it with other ATMs. When you visit the ATM of a bank you don’t have an account with, the ATM will typically tell you that your transaction will incur a fee of however many dollars. But that doesn’t count any additional fee your own bank may charge you for the convenience. Don’t like your bank’s ATM fees? 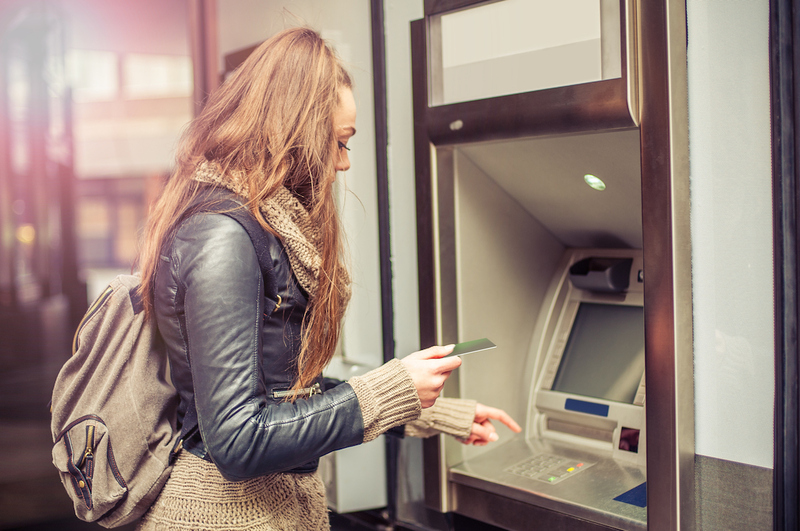 Investigate alternative banking options to help avoid ATM fees (we have a few right here). What about your overdraft fees? You may not realize it, but overdraft protection is supposed to be an opt-in feature. Don’t remember ever signing up for this “benefit”? Visit your bank or log in online to opt out of overdraft protection. Opting out means your card will simply be declined when your account has insufficient funds. Then, get hypervigilant about your checking balance. Download your bank’s smartphone app, or make logging in every day a regular habit. Realize that incoming deposits may take a day or two to hit your account — yes, even direct deposits you expect on a regular basis — and that debit transactions will vanish from your balance almost immediately. You’ve heard the phrase “protect your heart”? Start protecting your cash. Your Turn: Have you gotten dinged with outrageous overdraft or ATM fees? How did you stop the cash bleed? Lisa Rowan is a writer and producer at The Penny Hoarder who suffered more overdraft fees in her early 20s than she would like to admit.